Another day, another motorcycle crash at California’s scenic Mulholland Drive. Only this time, the rider of the Kawasaki-colored Suzuki GSX-R motorcycle involved in the accident didn’t seem to be speeding, though we can’t say with certainty what caused him to lose control of the bike. As scary as the crash looks when he flipped over the guardrails, the driver didn’t suffer any serious injuries as he was able…climbed back up to the road by himself and pick up his motorcycle. 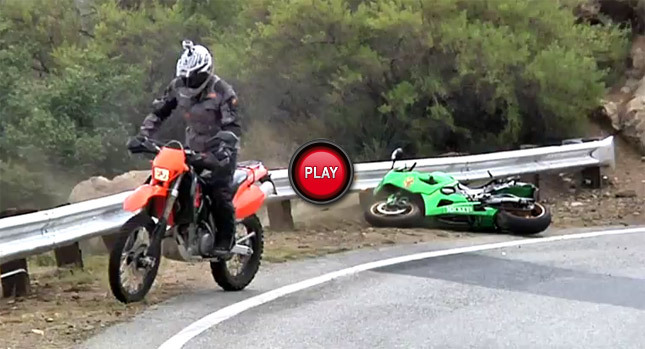 Do the ninja flip over the break to watch the video footage of the crash.